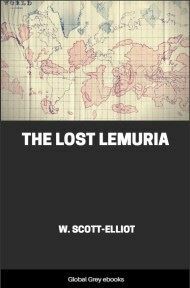 Lemuria is a 'lost world', much like Atlantis. Helena Blavatsky wrote about it, helping it to become part of the lexicon of the occult. 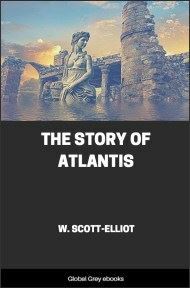 Scott-Elliot takes it further here and presents us with information as to what the Lemurians looked like, their art, religion, origin of language, and their methods of reproducing. It is generally recognised by science that what is now dry land, on the surface of our globe, was once the ocean floor, and that what is now the ocean floor was once dry land. 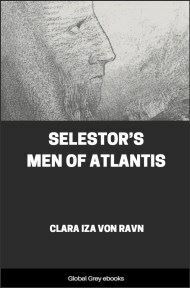 Geologists have in some cases been able to specify the exact portions of the earth's surface where these subsidences and upheavals have taken place, and although the lost continent of Atlantis has so far received scant recognition from the world of science, the general concensus of opinion has for long pointed to the existence, at some prehistoric time, of a vast southern continent to which the name of Lemuria has been assigned. "The history of the earth's development shows us that the distribution of land and water on its surface is ever and continually changing. In consequence of geological changes of the earth's crust, elevations and depressions of the ground take place everywhere, sometimes more strongly marked in one place, sometimes in another. Even if they happen so slowly that in the course of centuries the seashore rises or sinks only a few inches, or even only a few lines, still they nevertheless effect great results in the course of long periods of time. And long--immeasurably long--periods of time have not been wanting in the earth's history. 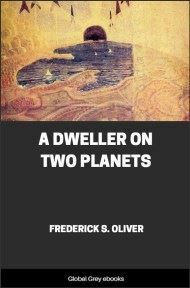 During the course of many millions of years, ever since organic life existed on the earth, land and water have perpetually struggled for supremacy. Continents and islands have sunk into the sea, and new ones have arisen out of its bosom. Lakes and seas have been slowly raised and dried up, and new water basins have arisen by the sinking of the ground. Peninsulas have become islands by the narrow neck of land which connected them with the mainland sinking into the water. The islands of an archipelago have become the peaks of a continuous chain of mountains by the whole floor of their sea being considerably raised. "Thus the Mediterranean at one time was an inland sea, when in the place of the Straits of Gibraltar, an isthmus connected Africa with Spain. 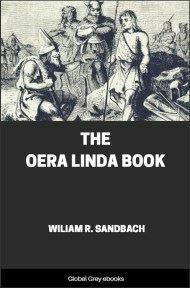 England even during the more recent history of the earth, when man already existed, has repeatedly been connected with the European continent and been repeatedly separated from it. Nay, even Europe and North America have been directly connected. The South Sea at one time formed a large Pacific Continent, and the numerous little islands which now lie scattered in it were simply the highest peaks of the mountains covering that continent. The Indian Ocean formed a continent which extended from the Sunda Islands along the southern coast of Asia to the east coast of Africa. 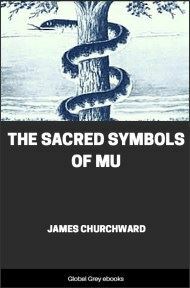 This large continent of former times Sclater, an Englishman, has called Lemuria, from the monkey-like animals which inhabited it, and it is at the same time of great importance from being the probable cradle of the human race, which in all likelihood here first developed out of anthropoid apes. The important proof which Alfred Wallace has furnished, by the help of chorological facts, that the present Malayan Archipelago consists in reality of two completely different divisions, is particularly interesting. The western division, the Indo-Malayan Archipelago, comprising the large islands of Borneo, Java and Sumatra, was formerly connected by Malacca with the Asiatic continent, and probably also with the Lemurian continent just mentioned. The eastern division on the other hand, the Austro-Malayan Archipelago, comprising Celebes, the Moluccas, New Guinea, Solomon's Islands, etc., was formerly directly connected with Australia. Both divisions were formerly two continents separated by a strait, but they have now for the most part sunk below the level of the sea. Wallace, solely on the ground of his accurate chorological observations, has been able in the most accurate manner to determine the position of this former strait, the south end of which passes between Balij and Lombok. "Thus, ever since liquid water existed on the earth, the boundaries of water and land have eternally changed, and we may assert that the outlines of continents and islands have never remained for an hour, nay, even for a minute, exactly the same. For the waves eternally and perpetually break on the edge of the coast, and whatever the land in these places loses in extent, it gains in other places by the accumulation of mud, which condenses into solid stone and again rises above the level of the sea as new land. 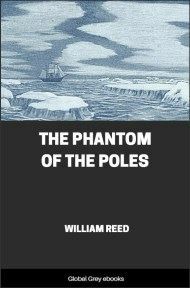 Nothing can be more erroneous than the idea of a firm and unchangeable outline of our continents, such as is impressed upon us in early youth by defective lessons on geography, which are devoid of a geological basis." "This," writes A. R. Wallace, "is undoubtedly a legitimate and highly probable supposition, and it is an example of the way in which a study of the geographical distribution of animals may enable us to reconstruct the geography of a bygone age. . . .It [this continent] represents what was probably a primary zoological region in some past geological epoch; but what that epoch was and what were the limits of the region in question, we are quite unable to say. If we are to suppose that it comprised the whole area now inhabited by Lemuroid animals, we must make it extend from West Africa to Burmah, South China and Celebes, an area which it possibly did once occupy."